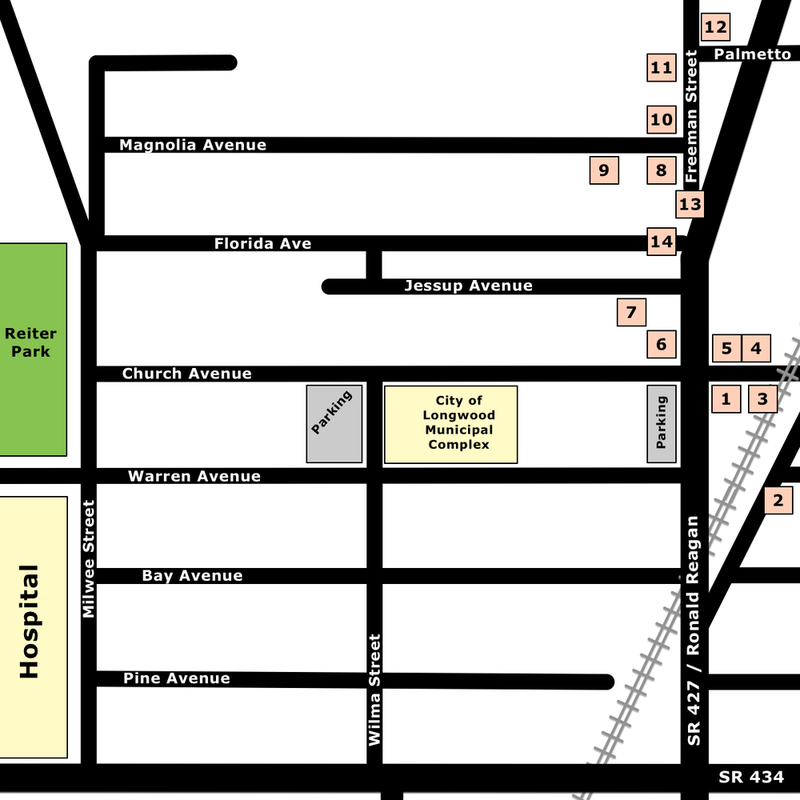 This walking tour goes through the northern section of the historic district. It includes commercial buildings on the eastern side of Highway 427 and homes to the north. If you just finished the central tour, the east tour begins just one block north and then take the crosswalk across the highway! For most convenience park either at the Bradley-McIntyre House itself (limited parking), across the street in front of the Longwood Inn, or next to the first stop across 427 in the lot next to Zanzibar Coffee. Your first stop is the Henck-Tinker Building, on the southeast corner of Church Avenue and State Road 427. Be careful crossing all streets! At each stop, click on the corresponding photo below to pull up detailed information about each stop.